What to expect? This is deceptive indie-pop performed in such a charming way that you might just forget to listen to the words and see that not everything is happy as it seems at the forefront. That’s what happened to me. If you just listen to Smugshot and don’t put much thought into it, the band sounds like a very tight radio friendly indie-pop act. There’s nothing wrong with that, but bands who can pull that off are a dime a dozen. But songwriters like Leah Erbe are much more of a rarity. Leah has that uncanny ability to write a song talking about a murderous plot and all the while do it with a big smile on her face and a voice full of sunshine. Leah has been playing with various band members, and sometimes solo, but now with a full band lined up the sound is tighter than ever. 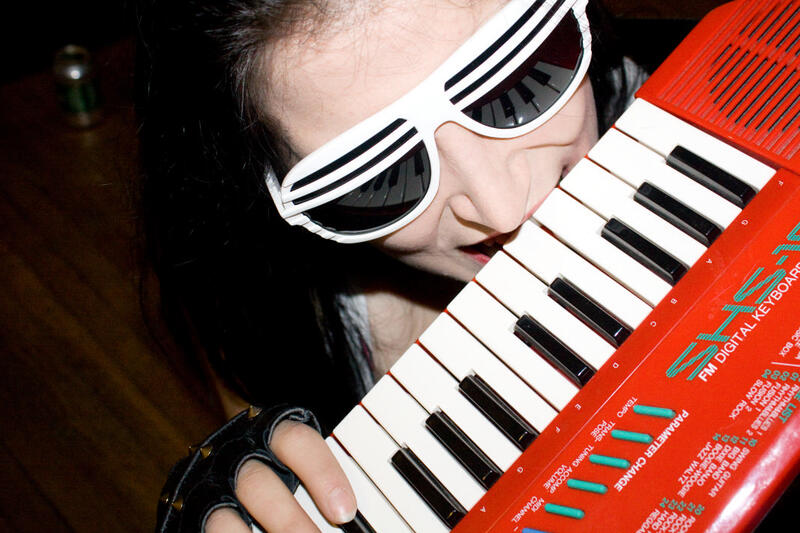 Plus, the fact is there are far too few people in the city who will wield a keytar for a few songs every set!